How Do I Delete a Kik Account? Deleting a Kik account is a huge step. You will no longer be able to receive Kik Messages from your friends and your username will not be searchable. Also, your name will be deleted from your friend’s account. But while the reasons you may want to delete you Kik account are varied, you will be glad to know that it is easy to deactivate the account permanently or temporarily. In this article, we will share with you how to do that. Temporary deactivation is ideal for when you want to stop using Kik for a while but you will come back to it later. You can reactivate your account by simply signing in to your account. Here’s how to temporarily deactivate your account. Step 1: Go to https://ws.kik.com/deactivate and enter the email address you used to register your Kik account. 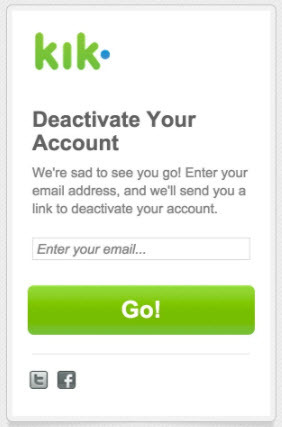 Step 2: You will then receive an email with a link to deactivate your account. Before we show you how to permanently deactivate your account, we feel you should know what will happen when you do this. To begin with, your account will no longer be accessible, you will not be able to receive Kik messages or emails from Kik, your username will not be searchable and your profile will be deleted from the contacts lists of all your friends. Once your account is permanently deactivated, you will not be able to log back in or access any of your information such as message history or contacts. Here’s how to do it. Step 1: Go to https://ws.kik.com/delete and enter the correct information as requested on the webpage. Step 2: You will then receive an email with a link to permanently deactivate your account. If you are worried that your teenager may be engaging in untoward behavior on Kik, you may want to deactivate their account. Deactivating their account means that your teen will no longer communicate with their contact list and their account will be deleted from the Kik contact list of all people they have talked to. To do this, you need access to the email address associated with their Kik account. Then simply follow the steps above to either temporarily deactivate their account or permanently delete it. 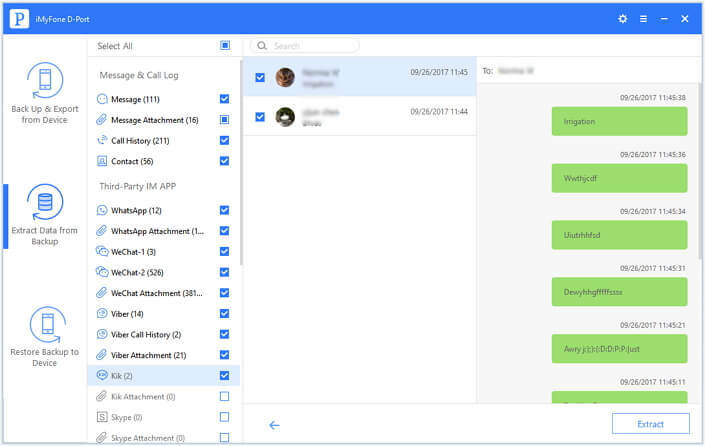 Or you can submit a deactivation request with your teen's Kik username and their age to the Kik customer support team by sending a email to this address support@kik.com with the subject line ‘Parent Inquiry’. It is a good idea to back up the messages on your Kik account before deactivating it just so you will have a copy of your messages. This is especially important if you have important communication on your account. 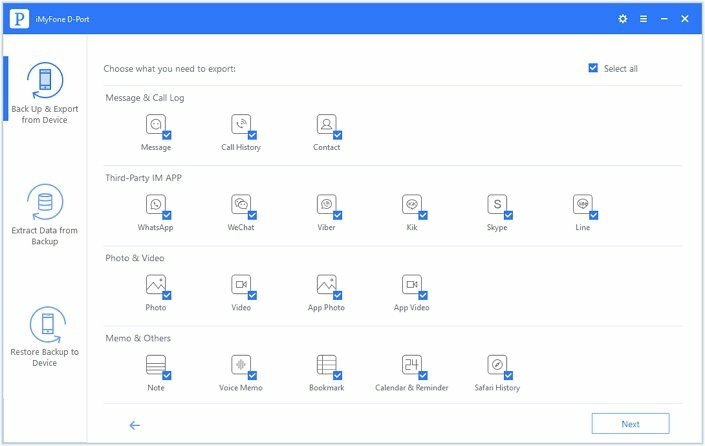 One of the best ways to back up your Kik messages is to use iMyFone D-Port iPhone Data Exporter which is compatiable with iOS 12. 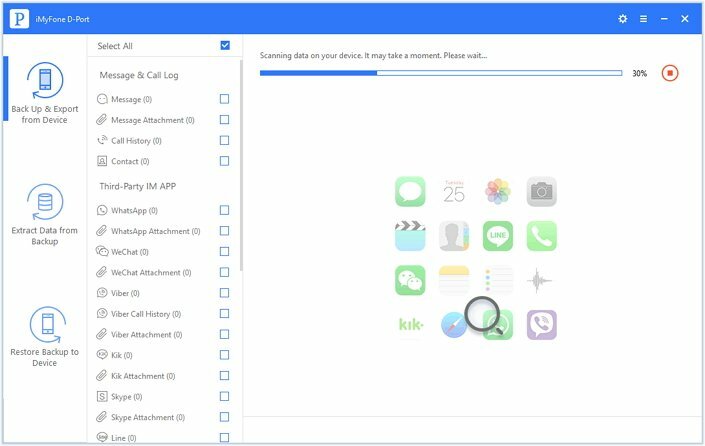 The program is ideal because it allows you to preview and selectively export data from your iOS device which means you can export just the Kik messages. The following is a simple way to use D-Port to export your Kik messages. Step 1: Download D-Port and install it on your computer. Launch the program and then select “Export from iOS Device” tab from the main window. Click “Start” and from the next window, select “Kik” as the type of data you want to export. Click “Next” to continue. Step 2: Connect the iOS device and then click “Scan” as soon as the program detects the device. In the popup window that appears, select a location on your computer to store the data.